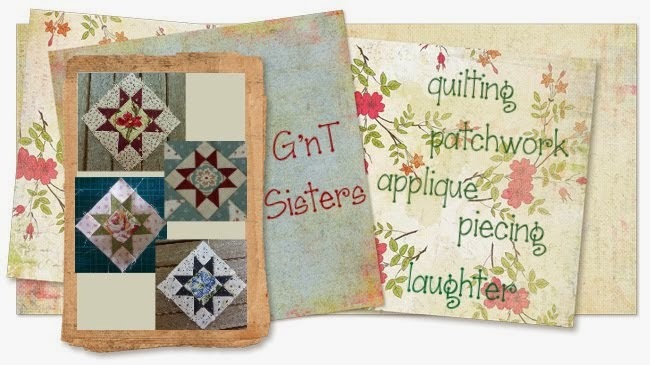 G'nT Sisters: Welcome to the G'nT Sisters! Welcome to the G'nT Sisters! Hi there and thanks for visiting our new blog. 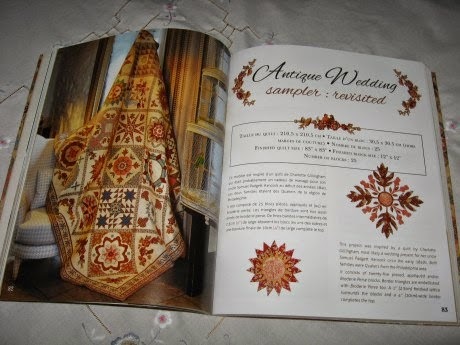 We set this up to track our progress on whatever we are working on together - currently this is Di Ford's Antique Wedding Sampler from her Quiltmania book - Primarily Quilts. 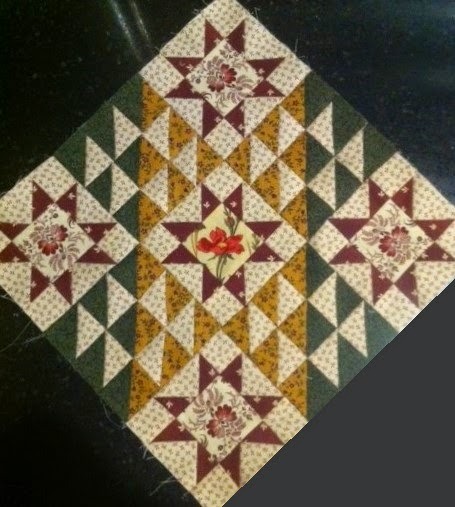 You can see the different colour choices in our center stars from Block #11. Readers of my Wheels on the Warrandyte Bus blog will know that unfortunately I lost my signed copy whilst travelling across the Nullabor. Luckily I can share with the G'nT Sisters. Our November retreat started with the usual Show and Tell of what we had been working on since our last get-together. Then it was time to eat a beautiful fresh salad. The next-door neighbour even dropped in with these fabulous cupcakes - yum! Judy has the best stash! Time to lay out some blocks to help with colour choices. We were so lucky to have a support team this time and had dinner cooked for us by two of the hubbys. At our last retreat in Fryerstown we were so busy sewing we skipped a few meals and snacked instead, so this paella was a real treat! We sewed, talked and laughed into the night. It was all too much for one hubby, so luckily there was Sofie's beautiful quilt to snuggle under. You have done a great job Carole getting this up and running, thanks for doing this. I can't believe how much Lynne and Sofie have achieved in such a short time. I also can't help but giggle thinking of that wonderful day. 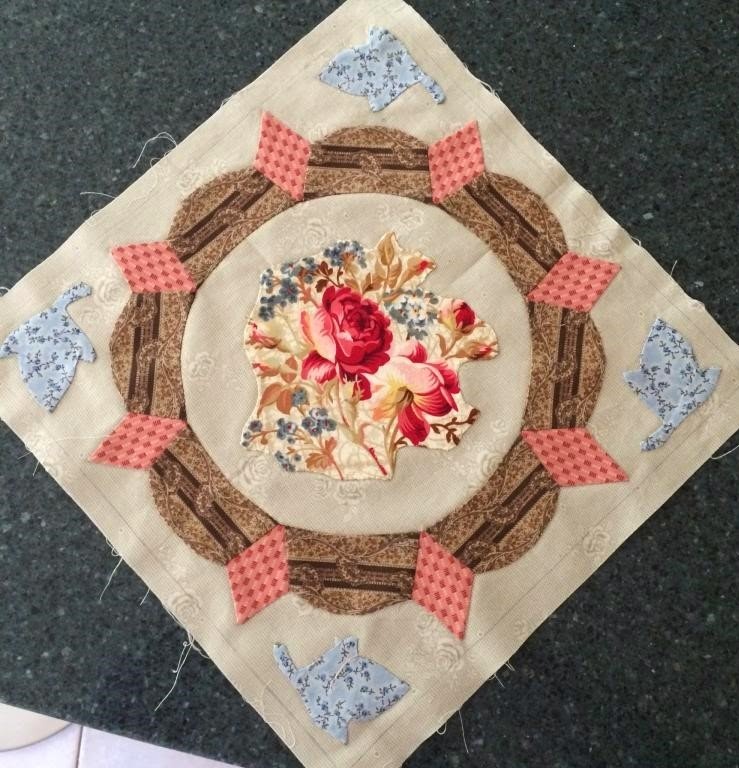 What an inspiration your blog is..it's a wonderful way to share your progress which I will follow with interest..your fabric choices are lovely.. 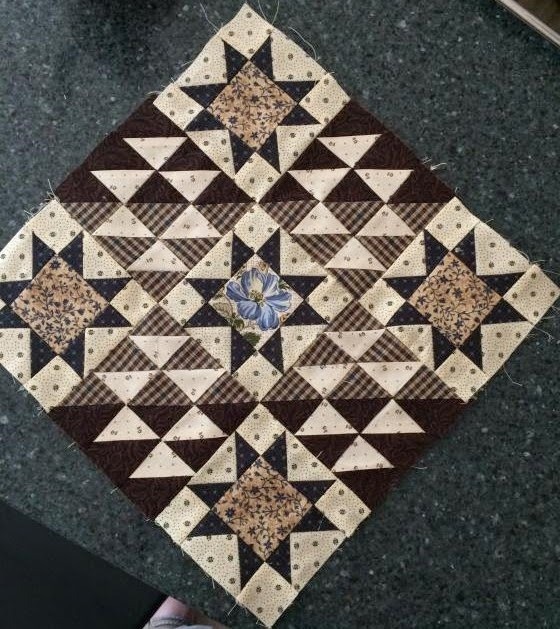 I have the book as well with the idea that I would like to make the quilt one day as well...I'm not sure that I would have the confidence to be able to choose the fabric to use though..maybe following you all on your journey will give me some ideas..
Congratulations on your new blog! I have become a follower via Bloglovin' love what I see. Am a big fan of Di Ford's, wips right now: Sarah Morrell and Phebe. Lots of inspiration for me here! Loved seeing all the fabric choices and blocks! You all are so fortunate to have a group like this. I'm looking forward to seeing more of your stitching and maybe it will inspire me to work on my AWS! Delightful! Look at all that talent...and food! I'll be following! 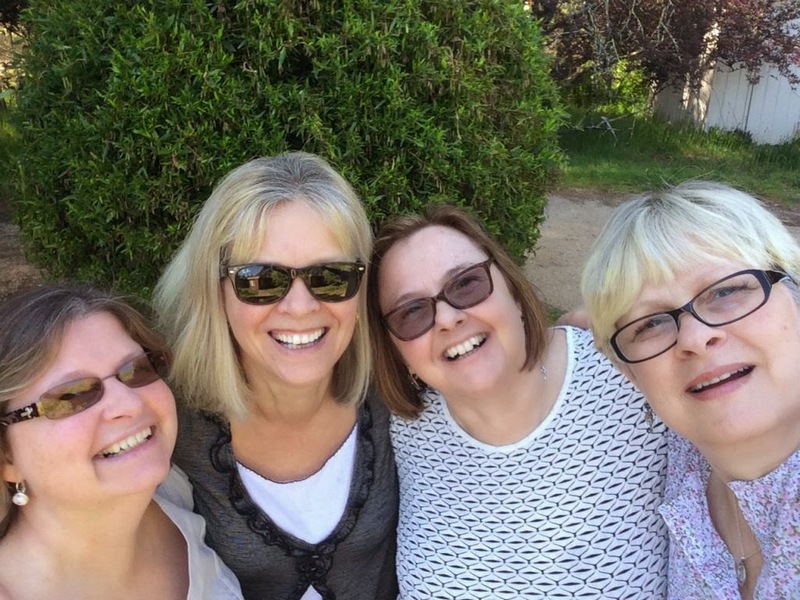 Wonderful new blog! 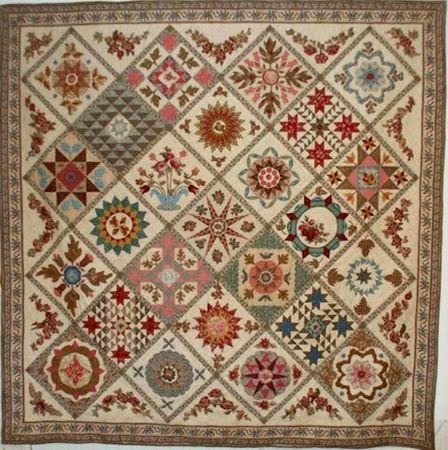 I just love Di Ford's Antique Wedding Sampler and can't wait to see more of your blocks and fabric choices. Very inspirational and 'Well Done!' ladies!!! What a pretty new blog you've set up! I love your blog and now I have another very inspirational blog to follow! All of the AWS blocks are beautiful! Lovely Carole, and very inspiring! I will certainly be following along. 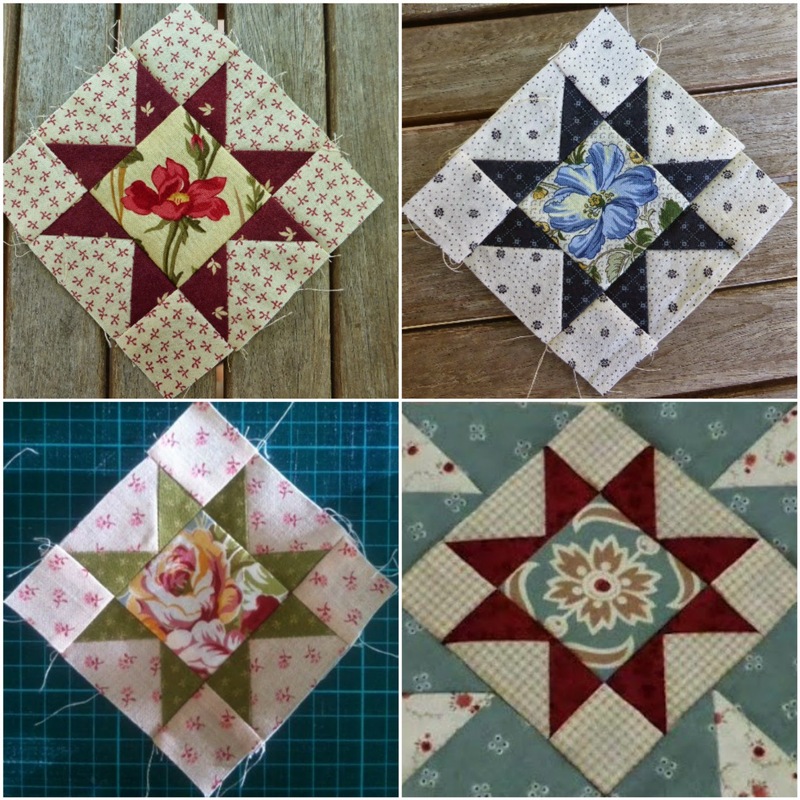 Nice blog - thanks for letting me share in all your beautiful sewing! What a great blog! I have book marked it and look forward to reading all the stories. Thank you for sharing.